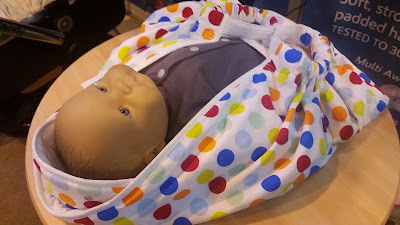 Mummy Of 3 Diaries: My day out at the Birmingham Baby Show. 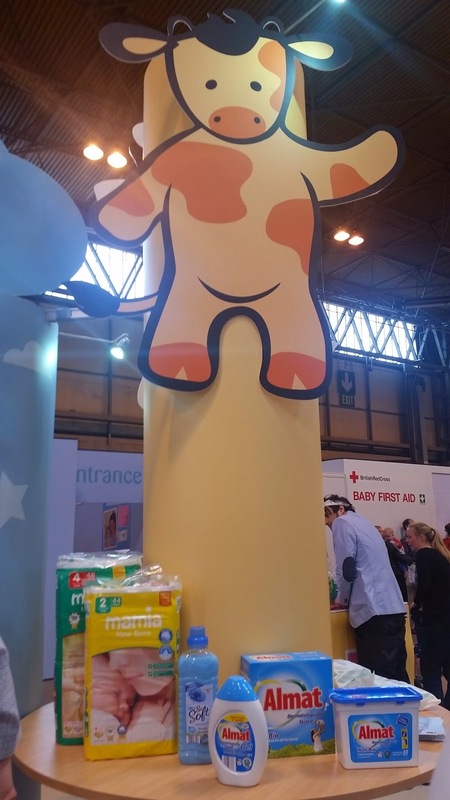 Although I don't have a baby anymore ( my youngest is now 4 ) I spent most of today at the Baby Show at the NEC Birmingham with some close friends of mine. It's been a few years since I've been and have to say things had changed quite a bit. There was the usual freebies and quirky competitions but the products on the stands had changed a lot. There seemed to be a theme of 'Saving Time' on lots of the products but to me most of them although cool were unnecessary and a waste of money. I mean, a machine to warm up your baby's bottles - what ever happened to boiling the kettle and filling a pan? I must be getting old as all the younger Mums to Be were buying these items, in fact they were very popular but just not for me. I guess I like to do things the old fashioned 'slow' way. The usual BIG brands were there with all their beautiful pushchairs, cots and accessories but today I was interested in finding out about the little ones. The simple products that were simply trying to make us Mums lives easier. One of my fave products today was the Snugglebundl baby lifting wrap which swaddled your baby in a brightly coloured blanket that had handles so that you could lift your sleeping baby out of a car seat or a trolley seat with ease and comfort without having to disturb them. It was a simple idea but I liked it. The changing area this year was sponsored by a well know brand - Aldi who were supplying free nappies and wipes to Mums who needed to change their babies during their day at the show in a comfortable and clean changing area. They also had a fab Twitter competition running where Mums and Dads got the chance to win a fabulous Nappy Hamper. (Yes I did enter) Aldi were showing off the Award Winning (Mother & Baby) Mamia baby range which I have to say I was very impressed with and I actually learnt something new today as I didn't know that they did a pull up range for toddlers as well as nappies. Overall it was a lovely day spent with friends, checking out all the wonderful baby products on show. I'd kinda forget how much stuff one little baby needs, the products on display were endless. So even though I'm not planning on having anymore children myself any time soon it was lots of fun to see all the lovely products for future friends children or family. If you're expecting or know someone who is then the Baby Show is a must visit. There are discounts a plenty as most of the stands were offering special Baby Show Prices of 10%, 20% and even 30% off on some. My friends got some great bargains today, a reduced changing bag from £49 to just £5 and at least 20% off her many other purchases. So, that's it, The Baby Show in Birmingham is over for another year but it was fun whilst it lasted. My friends and I had a blast even if we did go home with very tired feet and our hands full. The only thing now that could make my day even better would be to win one of the wonderful competitions at the show that I entered today - I can dream. She went on to mention dangerous levels of this chemical will leach into the baby's milk, particularly once the bottles area unit heated. She hip USA that the bottles she bought for USA were made of BPA free plastic Shara.